Differentiated instruction and learning are important in progressive education. Progressive education engages students in learning through meaningful experiences. Students engage in the authentic act of thinking and doing through engagement to grow their organizational IQ. Rather than a ‘one size fits all’ approach, the progressive education model trains students one-to-one or in small groups. Progressive educators employ an inquiry-based approach, guiding students to build and shape understanding. 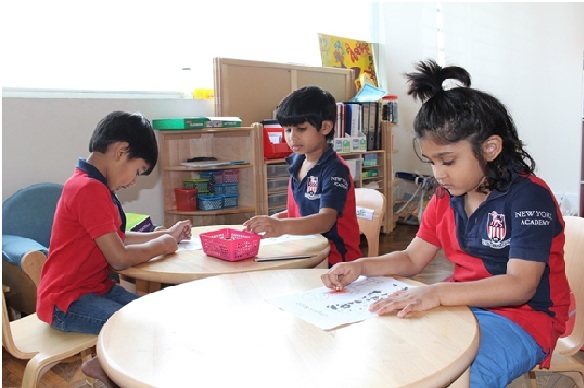 Progressive education revolves around each student’s needs. Progressive education focuses on the whole child, recognizing the social and emotional growth. In general, progressive education is not like traditional schools that are rigid, formal, and detached from real life, where the focus is more on the completion of worksheets and lesson plans. In fact, progressive education recognizes that a student’s healthy social and emotional development improves academic achievement. Through New York Academy’s progressive education approach, students learn to become leaders prepared for success in the Conceptual Age.